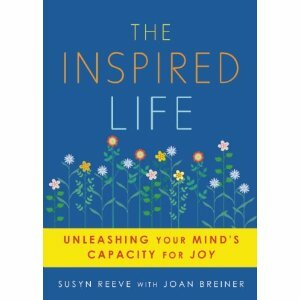 What is an Inspired Life? To answer this question it's helpful to be clear about the word inspire, which comes from the Latin, inspirare, meaning to breathe into and to be imbued with spirit. An inspired life is a life that is rooted in your passion, your gifts, talents, skills and abilities. It is a life that is aligned with your vision for your life - generated from the inside out. Who would you be and what would you do if you knew you could not fail? An inspired life is your heart’s desire and is based on making a conscious choice to live your life grounded in joy and appreciation. In committing to live an inspired life you nourish your happiness as you serve a greater purpose of contributing to peace and happiness for all. How do you unleash your mind’s capacity for joy? What are the thoughts that support and nourish my joyous inspired life vision? You then live your life aligned with the thoughts, feelings and actions that generate joy in your life. In addition you fill your day with the activities that give you an experience of joy. When you notice you are feeling victimized by a circumstance in your life, use this breakdown as an opportunity to become aware of your thinking, your beliefs about yourself, others and life. Do these thoughts support the life you desire? If not then it is time to upgrade the software of your mind and create new brain pathways aligned with peace, happiness, joy and love. We recommend is creating a Pleasure List of people, places, things and activities that when you focus your attention on them you experience joy. When you know notice you are engaged in focusing on thoughts that generate misery and unhappiness you acknowledge yourself for noticing and then re-focus your attention on an item on your Pleasure List. Some of the items on our list are: our dog, sunsets over the water, the sound of our grandchildren’s voices. Download a full copy of the interview and learn how to inspire yourself with more inspired life actions. More articles on how to inspire yourself and boost your feelings of joy.